I recorded a Podcast… & Tiramisu Giveaway! I said that I had a surprise for you and today’s the day. When I was in Chicago, I met up with Mari Miller from Disparate Disciplines, went to Vogue Fabrics and then went to her apartment to record a podcast! Yes a Podcast. It was so much fun to meet Mari. I got to know her through the 1912 Project and knowing we were only 4 hours away from each other, we knew we wanted to meet up. Go over to Mari’s blog to listen to us chatting on her new podcast, Stitches, where we gab about what we call ourselves as people who sew. Check it out. 1. Leave a comment here if you want to win the Tiramisu. If you already own a Tira pattern, feel free to leave me a comment anyway. Just tell me you’re not in the running. I do love hearing from you. 2. You can get a second entry by following my blog. You don’t have to share on social media to win but feel free to tell people about the giveaway. Here’s the Tiramisu pattern you can win on my blog! You know I love this pattern. Note: This giveaway is not an official Cake giveaway. Do check out the Cake site for lots of sewing info. So, what did you think of the podcast? You like it? Anything you’d like to hear Mari talk about? I’m hoping to go back up to visit her and record another podcast at some point. What should I talk about? Don’t forget to tell me if you’d like to win the Tiramisu pattern. Leave your email so I can contact you should you win. Deadline to enter is February 27th, 2013. If you can receive mail, you can enter this giveaway. Global entries welcome. Giveaway is now closed. Winner will be announced shortly. I hope you’ve had a chance to hear the podcast. Let me know if you’re having trouble listening in. Mari has it so all you have to do is click the play button but do tell me if it’s not that simple on your end. I’ve got you down for the giveaway. What other podcasts do you listen to? I love listening to comedy podcasts while I sew. T.V. distracts me too much…unless it’s something I’ve seen a lot or can watch as background. thanks for the comment even though you already have the pattern. It’s so nice to hear what people have to say. Dredges up a lot of waste for me too. Pun intended. 🙂 I’ve got you down for the giveaway. You’d love this pattern. I’ve been curious about bloglovin. How does it work? You like it? I’m glad you commented. And I’ve got you down for the giveaway. I often use seamstress in blogging to avoid being a subterranean pipe. I would love to be entered in the Tiramisu giveaway. I have been looking for a good knit dress pattern for a long while. Thanks! Yeah, lol on the subterranean pipe. I’ve got you down for the pattern. I have just discovered your blog and the Tiramisu pattern. I am smitten. Welcome to my little corner of the webz. I’ve got you down for the pattern. I’m glad you liked the podcast. It’s weird to have my voice out there. I completely have your back on the whole design aspect. It’s hard to self label. It’s all so complex for us and the non sewing world wants a box to put us in. I just discovered your blog through Disparate Disciplines. You ladies are feeding my obsession. I would love a Tiramisu pattern. So glad you popped over. Nice to have you here. I’ve got you down for the pattern. I think “dressmaker” is more exact, as it explains some of my stranger ideas about sewing (e.g. anything under 2.5 yards is a remnant!) I would love the Tira! I’m a sucker for a surplice neckline and cut on sleeves. ha! Yes, for me anything under 2.5 yards is a remnant or I think color blocking. Maybe. I’ve got you down for the Tiramisu pattern. thanks for stopping by. I hear ya on that…when do you decide to make the leap up the sewing ladder of know-how? I don’t know how to tackle this cos I’m not really sure what “level” I’m at. I know there’s a lot I still need to learn and a lot more that I need to do better. thanks for keeping the conversation going. I would love to win this pattern. It looks like it might work for breast feeding, which would be a big plus. I think it could totally work for breastfeeding. I’ve got you down for the giveaway. Ohhh, how exciting! I’m going to go over to Mari’s blog and listen to your podcast. How great you were able to meet up in “real life”. And, as you know, I’ve been hearing and seeing SO MUCH of this pattern and you recommended it to me as a good one, so I would totally love to win this!! Fingers and toes crossed! (and I already follow your blog, it’s too great not to! 🙂 ). Thanks for the lovely comment. I hope you keep checking out Mari’s podcast. I’m hoping I’ll get back to Chicago to record another episode. I’ve got you down for the giveaway. Awesome giveaway! Sneaking over to listen to the podcast now! just the glug glug or the whole thing? But yeah, I hear ya. To elaborate: Language evolves. The discipline of etymology is dedicated to the study of the history of words. As culture and humans evolve, so does our language to describe it. It makes perfect sense to me that in an online environment where we communicate via text we would change “sewer” to “sewist”. It particularly makes sense when the word “sewer” changes meaning with its pronunciation, so making a distinction by changing the suffix must also be less confusing to those that do not speak English as their native language. Context does usually give it away, but not always. This is why I find the argument “sewist isn’t a word” to be one that is very short sighted. How do you think new words come into existence? We find a need for a new sound and letters that convey an idea succinctly and therefore invent one. I’ve been interested in etymology for about 10 years ever since I started investigating how words have changed in the romance languages, ending with a letter being dropped in one language and replaced by a another for another language. It’s very fascinating. I like how words are evolving from twitter and while it’ll take some a while to agree with a word, say “sewist”, is a word that a lot of bloggers use. It’s all part of the psychology of change. Oh, the human brain. love it. Cool comment. I follow your blog via Google Reader. Does that count? of course it counts to follow thru a reader. I’m so glad this made you laugh. I am such a clown. Yes. Too bad you aren’t closer. I could use more laughs in my life. Thank goodness for the sewcialists on twitter and blogs! If only we could squish those big states that divide us…as I see it, squish them and it would take an hour to get to my house from yours. more or less, you know? wordpress is being a baby today. I’ve had the hardest time replying to comments, too. If I ever am in Vegas, I know where to go. 🙂 I’d offer Indiana as a hotspot but c’mon..it’s Indiana. Well, I drove through part of Indiana this summer, so it is still a possibility. You just never know! you did? ooh, well then. Here’s to hoping. Yep, twice. Once through the bottom tip while driving to Louisville, KY and then through the middle on the trip from Cleveland to Kansas City. That was back when I was insane and drove over 6000 miles with 4 kids and no husband in 3 1/2 weeks. Good times! You’re my kind of crazy! It was actually a lot of fun, and my kids didn’t fight even once! It was a miracle. 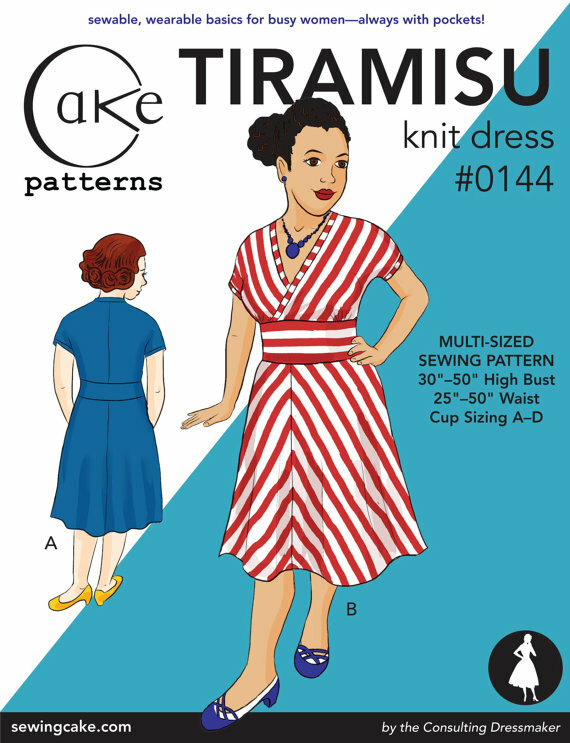 I would love to win the Tira dress pattern. I already follow your blog via Bloglovin. Thanks for the great giveaway! I got you down for the giveaway. thanks for the comment even though you’ve already got Tira in your stash. I liked how you left the discussion open, since there isn’t really an answer. It’s fun to debate, though! I probably *say* sew-er while I *write* sewist and cringe at “designer” because I’m not one, but I don’t know why I’m so uncomfortable with that term? And a lot of people hide behind quilter even if that’s not all they do, but I’m not a quilter. So I think I’m like you all, kind of stuck in limbo between terms. I think it would be tricky to do a weekly. You’d need to pump yourself up before each recording. Mari and I did two takes and her and her boyfriend did some smooth editing to cut out all the spaces and a lovely comment of mine about burping. 🙂 I’m a rock star. I was hoping it would feel open ended cos of what you say. There’s no end to this discussion. And what I call myself will be ever-changing as my skill and my interest change. thanks for sharing it. I hope people like it. I call myself a crafter because I’m mostly a knitter but I also like sewing. I would probably call myself a sewer if I thought about it because I never write it down. Interesting that I never call myself a knitter but I can knit. I agree with whoever is saying it’s about my audience. But I think I’d still call myself more a person who sews (I still can’t decide on a term) than a knitter. I’ve got you down for the giveaway, too. On the issue of what I call myself, it depends on who I’m talking to. If it’s someone else in the film world, I’m a “stitcher” and that’s the official word on my resume. When it’s a conversation with someone I’ve just met, I’m a “seamstress”. I’ve never liked the word “sewer”. (I have a friend and sometimes coworker who has a mug that reads “I ❤ my sew-er" and you have to have the dash or meaning is completely lost, lol.) Online, I often use "sewist" when referring to others who sew because it is more generic and sounds better within a blog post. And technically speaking, some of the men I work with in the costume world are "seamsters" the male version of "seamstresses" (probably why the word stitcher is perferred on resumes). I can see why stitcher is used in the pro world. It makes sense to keep it simple, know who does what from the start, and skip all the chatter over the button jars (is that like the water cooler? hehe). I hope it’s easy to listen to the podcast. Mari embedded it into her blog so you should only have to click on the play button- nothing to download or anything. When you do listen, see if you hear my Brooke mention, though I don’t mention your name. You’ll know it when you hear it. Fun conversation – I really enjoyed listening! Tailors in my world are more about the alterations of store-bought and the building of custom suits. And here’s a title you may not have heard: “First Hand” which is the cutter/draper’s assistant. Shop hierarchy is usually designer, cutter/draper, first hand, then stitcher. My home business has me doing a bit of all of those positions but I REALLY dislike being called a designer. I love the building and constructing part of sewing the most. Oh, I like this. A first hand is a term I get but not from having worked in those settings. It just makes sense. I don’t think I’ve ever been called a designer but I’m not seeing it in my future at all. When the day is done, I’m a stitcher. Using dressmaker I think helps the non-sewing world get what I sew, cos it’s not quilts. I love hearing your voices on the podcast! I have no idea what to call myself since I am just sewing my first dress/ clothing item ever… it just has not been something even on my radar until after listening to you discuss it. I think I would love to call myself a dressmaker someday! Please enter me into the drawing for the pattern as I would love to have something that has had such great results be something I sew next so I can have a success to celebrate to keep me motivated… the one I am doing right now is not going so well. Thank you! I’m so glad you liked it. I do like the term dressmaker. Oh, and I have you on the list for the giveaway. Lovely to hear the discussion about sewer/sewist/etc. Perhaps someone should just dive their hand into a bag full of scabble tiles, pick out five or six random tiles, and come up with a completely new word for the person who loves to sew. I’m glad you gave the podcast a listen. Wouldn’t it be funny to do a scrabble tile name dig for a sewing name. I like it. This is a great looking pattern and I want one! Would love to win the Tiramisu pattern. When blogging, I call myself a “sewist” (hate the word sewer). In real life, I just say I love to sew/craft/create things. thanks for coming over to comment. I’ve got you down for the giveaway. What you said sparked a thought in me. I wonder how many of us downplay what we do around people who don’t sew to help them understand? I’m listening to the podcast now – love it, like chatting with friends (I’m nodding as can’t really join in!). Please enter me for the draw! I’ve got in for the giveaway. And I forgot to say, I don’t call myself anything. Just, I like sewing, I sew – that kind of thing. Enjoyed reading Brooke’s hierarchy of the workroom. Would it be correct to presume that the pattern maker fits in after the designer? Searching for employment, or presenting yourself for employment makes the selection of the terms important. Many people who sew, possess skills beyond sewing. Apart from putting your CV, or work history, out there, it is difficult to actually do a search for appropriate employment because of the compartments that various descriptive terms of employment create. Word of mouth seems to be most effective…….and the words you choose become very important….. The cutter/draper and the first hand of costume shops are usually the pattern makers. In fashion manufacturing, there is more breakdown of specific job tasks (like they mentioned in the podcast – there are people who ONLY snip threads) simply because it’s mass production. And yes, word of mouth is the way I get every job. I have YET to get a job with my resume, and I’ve been working professionally for almost 12 years! I loved listening to the podcast! I’m so glad I found you. I’m a sewer. I’m so glad you enjoyed it. Welcome to my blog. I love seeing new faces. I’d love to win a Tiramisu pattern. I’ve seen so many great versions, and it’s a dress that amazingly flatters everyone! Welcome to my little blog. So glad to have you. And I’ve got you down for the giveaway. Thanks. And wonderful, I’ve got you down for the giveaway. Thanks for listening. I have you down for the giveaway. Girl you know I want in on the tiramisu giveaway! And I love your podcast, particularly the dissection of Tim gunn’s term “Becky homecky” (spelling?). I always cower a bit on my couch when he says it! I had to make a couple of podcasts during my teaching/technology course and I think it awesome how comfortable and interesting you all made it, much love! Fellow podcaster! So cool you got to do some. It’s so much easier when you have someone to bounce off of. I don’t think I’d do a podcast unless I could get a buddy to do it with me. I’m so glad you liked it! And I’ve got you down for the giveaway. I normally love Tim Gunn. I forgive him for the Becky Homecky (I don’t know the spelling either) because of so many other things he’s done so positively. I’ve been following the Tiramisu sew-along with envy! Count me in. This is the year I have decided to face my fear of sewing with knits. I’ve started sewing this Summers wardrobe… with knits. I’ve found you through threehourspast. I can’t wait for summer. I’ve got you down for the giveaway. I would love to try the Tiramisu pattern! I have been looking at all the pics showing beautiful creations, and have put it on my list to try. I’d love to win the tiramisu pattern, every version of it I have seen is lovely! I would love to practice sewing with knits too. The Cake site has some great tutorials for working with knits. One that makes or sells clothing or cloth. Maybe I could use this word. It sounds better than ‘ I sew things’. I tend not to use sew-er or sewist but if pushed to choose I would write sewist but say sew-er. Hello! I’d love to own this pattern. It’s flattering and looks nursing-friendly. Two wins in my books. Also, I follow you via WordPress and Google Reader. I’ve got you for the giveaway. And I’d think it would be good for nursing, too. I’m interested in entering and am following you on blogspot. I liked the podcast- I mentioned on Mari’s blog that right now I’m scared to use any gendered word since I’m taking classes in a certain field that is incredibly concerned with the words used (perhaps too much so). I’m not sure what further topics should be but I think I will follow along. I think I know what you mean about using gendered words. Gendered words bug me with my kids as I have a girl and a boy and I hear people calling them, “hey, guys.” Why can’t they just use “kids”? anyway, thanks for the thoughts. I have you down for the giveaway. Please enter me into the draw to win the Tiramisu. I realised the other day that this is exactly the silhouette that I like in my dresses…aaand the Tiramisu has pockets. YAY! Thanks for entering. I’ve got you down. And I hope you enjoy my blog. I found your blog through “fashion it so” and I’ve been reading through all your previous projects. So much awesomeness! Oh wow! I can’t believe I hadn’t found your blog before! I’ve had a fabulous time exploring and am now following. I’d love a copy of Tira should the giveaway fairies be smiling! Id love to enter please! Also I follow your blog in google reader. Wonderful. I’ve got you down. That’s very generous of you both. Thanks for an entry in the Tiramisu contest! I’ve loved this pattern from the moment I saw it! Count me in! Wonderful! I have you down and added an extra entry for following. I watched the sew along for this pattern and fell in love with it. If I don’t win, congrats to the person who does!